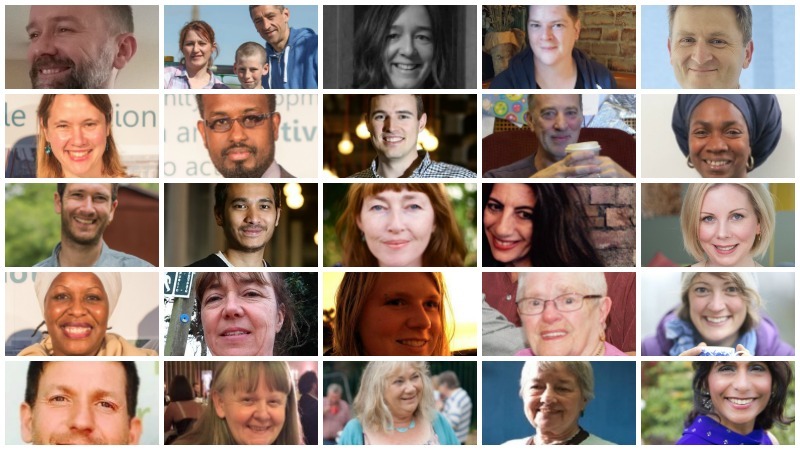 We’ve just published our alternative New Year’s Honours list – 25 Happiness Champions nominated for making Bristol a happier place to live, work and flourish in 2016. We find them inspiring – not because they’ve done high profile or spectacular things, but quite the opposite – most of them much prefer to avoid centre-stage so they can quietly get on and be helpful. There are no ‘winners’ in this list – it’s in alphabetical order because each and every person deserves credit for increasing the happiness of others in Bristol, and they all do it in different ways. The overall effect is to make Bristol’s communities better adjusted places – see the list as we’ve published it here, and Brighton’s 2016 list here. This, Bristol’s fourth HappyList is featured in Bristol 247, the Bristol Post and was covered by Emma Britton’s BBC Radio Bristol breakfast show. Inspired by David Randall of The Independent on Sunday, the original national Happy List was designed ‘to provide an antidote to all those rich lists and celebrity lists which worship at the shrine of the wealthy, the bonus-getters, and the tax avoiders’. With David’s support, we’ve now produced lists for Bristol (4 times) and Brighton (twice), so there are now over 250 people in our HappyList hall of fame. We’ll look for a volunteer to add all our past Happiness Champs onto our new website soon. We have really ambitious plans for 2017 and intend to publish lists all over the UK. Let’s celebrate those who set the best examples for us to follow – the people who do the most to make Britain a happier, more caring country without any thought of personal gain. We exist to actively engage with people, spark conversations about what really matters and challenge the accepted view that economic growth is the only way to define and measure prosperity and progress.